Idaho currently has three programs that serve children. Two are 1915(c) HCBS waivers, and one is a TEFRA/Katie Beckett program. All waive parent income and are open to children of all incomes. 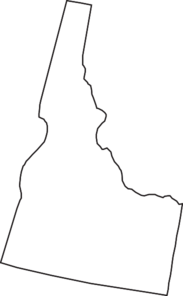 General information about developmental disabilities in Idaho can be be found on the Children's DD Services page. Idaho also has two adult-only waivers, Aged & Disabled and DD. Income Waiver: Yes, the program is based on the child's income only. However, in 2010 Idaho began charging families a monthly premium based on their income, up to 5% of their income. Due to both state and federal rules, this payment is considered voluntary. Services cannot be stopped if you do not pay. See p. 5 of this document. How to Apply: Call the helpline at (800) 926-2588 or contact Regional Medicaid services at 208-334-0940. Description from medicaid.gov: Provides family education, habilitative supports, respite, community support services, financial management services, support broker services, crisis intervention family training, habilitative intervention, interdisciplinary training, therapeutic consultations for individuals with autism, ID, and DD, ages 0 – 17. How to Apply: This document describes the process. Call (208) 334-5512 to get started. Target Population: Young children with developmental or intellectual disabilities, including autism. Description from medicaid.gov: Provides family education, habilitative supports, respite, crisis intervention, family training, habilitative intervention, interdisciplinary training, therapeutic consultation for individuals with autism, ID, and DD, ages 3-6.